Sponsor an effort in caring! ACT needs help from the business community in its efforts to help the Tampa Bay Area. 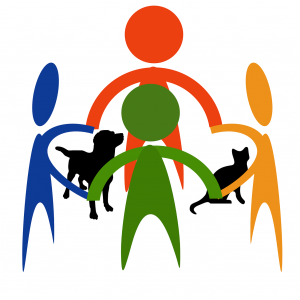 For over 15 years ACT has taken on the challenge of directly impacting pet overpopulation, animal welfare, all while helping the less fortunate pet lovers in our community. ACT operates a veterinary clinic focused on volume treatment as well as spay and neuter surgeries. ACT has been able to make a significant impact via its programs and initiatives including spay/neutering of domestic and feral animals, assistance to economically disadvantaged pet owners, and affordable veterinary services. Since 2001, ACT has been able to accomplish a great many things including the spay/neutering of over 100,000 domestic and feral animals as well as providing vaccinations to scores of pets. ACT programs and initiatives will continue throughout the coming years, but we could use a helping hand with our efforts. We are seeking Business Sponsors! Platinum Plus sponsors receive: a plaque for their facilities along with a thank you letter; acknowledgement via ACT’s multimedia footprint and events throughout the year; listing in ACT’s annual report; and optionally sponsors may elect to receive free gifts per their sponsorship levels that may include shirts, mugs, and/or other available promotional items. Funds from our sponsors help ACT carry out its overall goals and objectives, as well as expansion of our facilities and geographic area. ACT is actively planning a facility expansion via either a second location or a larger overall footprint with room to grow in the future. Expansion of our facilities will help us achieve goals such as reaching 150,000 spay/neutered animals by 2020. ACT also desires to expand and push its cause geographically as well as develop greater sustainability so the next generation can take the reins and continue the push for humane and effective control of pet overpopulation in the many years to come. Special Sponsors: If you would like to sponsor ACT in a means other than monetarily, such as in kind or a combination of the two we are open to discussion and appreciate all forms of sponsorship assistance. at Animal Coalition of Tampa, Inc.